Would you like to rent Strathspey Performing Arts Centre’s Theatre? 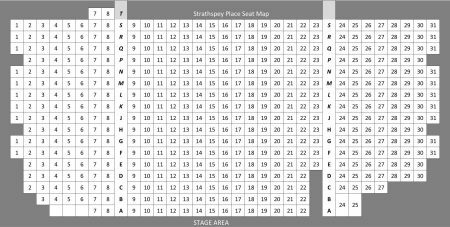 Strathspey Performing Arts Centre would like to make your rental experience as convenient and practical as we can. The form outlines the basic rental structure that is available at this time. We welcome your thoughts and comments and will continue to strive to make available an arrangement that works for us all! The Strathspey rental agreement is available electronically as an interactive PDF that you are welcome to download, complete and send to us at Strathspey Performing Arts Centre. Please see the Rental Agreement below. By clicking on the link, you are able to view the rental agreement. In order to complete the fields within the application, you must download the file first. Main Audio is mounted on shelves on Stage Left and Stage Right approximately eight feet above the audience. All power is QSC. Front of house Audio position is located at the rear of the theatre, at hous centre is slightly elevated. All FOH positions can be connected to monitor or stage managers position. We’re now open 24/7 online! You can purchase performance tickets, memberships, and gift certificates on our website any time of the day. Check it out! Order your tickets by calling us at 902-945-5300. Please have your credit card ready. Tickets may be purchased with Visa or Mastercard. We do not accept American Express. Please leave a voicemail message with your phone number to request tickets. Please do not leave credit card information over voicemail. We will return your phone call to complete the order. Please note that we do not hold tickets. Tickets must be paid for when ordered. Drop by the box office (in the Allan J. MacEachen school complex) to get your tickets. Cash, Visa, Mastercard and Debit cards accepted at the Box office. Sorry, personal cheques are not accepted. We are located at 11156 Route 19 in Mabou. Rental agreement effective as of January 1, 2019. This performance arts centre’s seating is built with comfort and designed with optimal viewing of the stage from all seats. Wheelchair accessible seating is available. For further assistance with seating, please contact our box office.